Fully remodeled property. All new state of the art appliances. 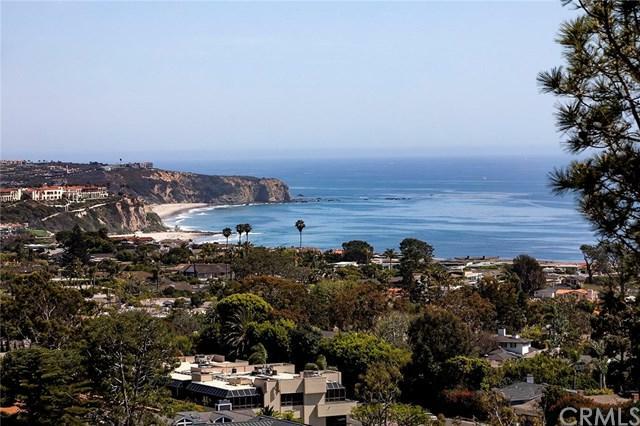 Panoramic ocean, coastline, beach and white water views. Living room features floor-to ceiling ocean view windows, a cozy wood burning fireplace opens to a private ocean facing patio. The kitchen and spacious dining room are oriented toward miles of seascape and rolling waves on the shore. The master suite features 2 separate closets, a full bath, steam room, bidet and a built-in vanity. The second bedroom has 2 separate closets and the view of the hillside and beautiful nature. The property has a separate laundry room, all new 2 car garage with high ceiling and plenty of storage cabinets and the utility sink.This property is located on quiet cul-de-sac street in highly desirable thee arch bay community with private beach access and coastal living every day and all year around.